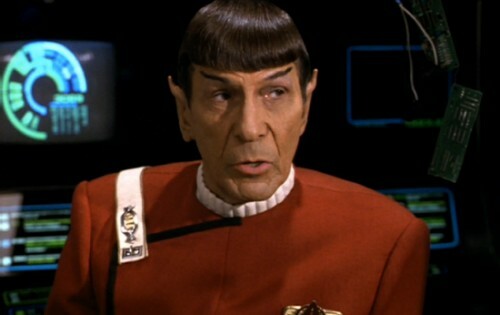 Sad news are coming in today that the great Leonard Nimoy has passed away. He will always be the only and only Mr. Spock, the role that made him famous, but he was also so much more – a wonderful storyteller, writer, director and even photographer and poet. But above all, even though he played one of the most famous aliens in television and movie history, he was a wonderful human being with a great sense of humour and wisdom. Goodbye, Leonard – you were truly one of a kind. Leonard Nimoy’s final scene in Star Trek VI: The Undiscovered Country. Good news, everyone! Last year, I completely forgot about the 15th anniversary of Matt Groening’s other animated series Futurama, but this year I’m going to make up for it by translating all the existing reviews and, of course, write about the final series, which I had not even gotten around to yet. But today’s review goes back to where it all started – Futurama Season One is still one of the most impressive debuts of an animated television series and although it shares the same drawing style as The Simpsons, it has always been its completely independent entity. The series only arrived three years after its US television debut on DVD, first in Europe while North America had to wait another year. This article is both an introduction to Futurama and a review of the DVD boxset that was released in Europe in Spring 2002, which still holds up reasonably well even until today. Note: The next reviews are going to follow when they’re ready, that means not necessarily in weekly installments. But they’re coming, I’m just taking things slow – stay tuned!